A brass snap in 16mm spigot with a 3/8 UNC thread. 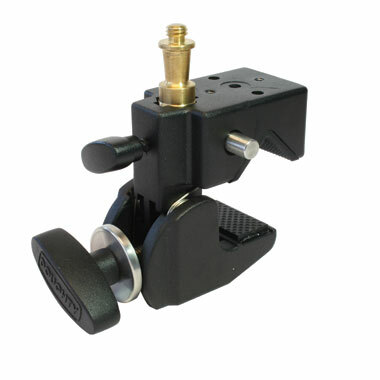 This spigot features a 16mm shank to be used with 16mm receivers and a 3/8" UNC thread as used with larger cameras and accessories. Two Supaclamps can be joined base to base with this spigot.